I loved this app, I even recommended it to friends and colleagues BUT that was before I had a problem and then the developers are no where to be seen. I used this app successfully for three years, used it fully i.e. created complex passwords including the one to unlock the vault. I had over 180 different logins. Unfortunately I dropped my phone and needed to get the screen repaired which also means the digital Touch ID scanner. When I tried to get back into 1Password obviously there was no recognised figure print and because I had followed the apps advice had used a complex password. No problem! I also had a back up plan I had set up 1Password on my iPad. However, the app is so flawed that when I went to open the vault via my iPad it wouldn’t let me use my finger ID and insisted I put my password in. Well as you can see I had no way of getting my password. I have emailed the developers several times to ask for help but they do not respond. I am a paying customer and feel very aggrieved about this. The disruption this has caused is unbelievable I have almost lost my job because I used this app for my work passwords. I have had trouble accessing my bank account. All this when I buying a new house. I would really warn any off using this app as the after sales support service is appalling and I actually feel that things have been stolen from me. Horrid horrid people. Despite some frustration with the way the charging structure was changed in a way that still seems a little unfair, I still consider this to be a very useful and very valuable piece of software for as long as we consider it important to have unique strong passwords across all the different systems which we feel we need to use each of which are asking us to identify ourselves, and yet for each we choose separate passwords like bulkheads to try to stop the Titanic from sinking. I know I could opt for one Yahoo or Google sign in but I know full well the advertisers and marketeers will be all over me like a rash if I do and I still value solitude and peace and a natural life and so here I am with my fistfuls of passwords protecting the little that is me. I pray for more hope and faith and trust in us all to do likewise in time. So, in the meantime, in these interesting times in cyberspace, I am glad to have 1Password along with me for the ride, for now at least and thank the developers for their support to “my workflow” which is my online life. The best app/software I have ever purchased, literately. The guys at Agile have, in my opinion, always strived to build quality software that is really worth buying and doesn't expect you to pay for 'upgrade' versions at every opportunity. The easy user interface, consistent quality and continual development keeps both desktop and phone/tablet software ahead of the competition. 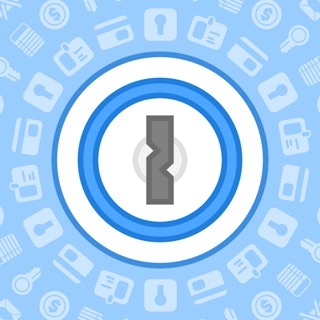 This is all complimented with an outstanding team always ready to help when you hit difficulties using 1Password and your ideas and suggestions are always welcomed. A secure and great way to ensure your online accounts/financial information are as safe as is possible from those who would try to steal and cause electronic and financial fraud...and the headache that comes with it, as happened to me after my email address and password were kindly hacked into by someone in China and on display online along with the other 300,000 listed. I only found out due to curiosity by searching my email address.